Leslie Fine Interiors, Inc. is an award-winning, full service residential interior design ﬁrm located in Boston’s Back Bay. In connection with each project, whether large in scale or smaller in scope, within New England or in other regions of the country, every client is given personalized attention at all times from the principal of the ﬁrm, Leslie Fine. From construction design and coordination, fabrics, furniture and ﬂoor plans, windows, walls and accessories, Leslie introduces innovative ideas and offers her clients the opportunity to explore various options to create interiors speciﬁc to their lifestyle and taste. Leslie’s clients cite her “professionalism,personal attention, and availability” as some of the key reasons they wholeheartedly endorse her. Her keen ability to translate her clients’ needs and desires into a comfortable, beautiful and functional space affords Leslie her reputation. Leslie’s work has appeared in many regional and national magazines, and the ﬁrm has garnered many coveted interior design awards over the years. Most recently, Leslie received two Gold PRISM Awards at the 2017 BRAGB PRISM gala – one for Best Bathroom Design and another for Best Design of a Living Area. More details of the awards received can be found in the News section of this website. Leslie is a past President of the New England Chapter of the International Furnishings and Design Association (IFDA). This international association is comprised of individuals who provide services and products to the furnishings and design industry. Leslie prides herself on developing close working relationships with her clients. “Listening to my clients and responding to their lifestyles is essential. My expertise is in creating a functional home environment while simultaneously expressing the individuality of each client.” Leslie’s innovative ideas, creative versatility, and ability to execute solid design plans make her a sought after designer. 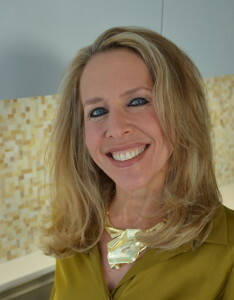 Leslie Fine is the president of Leslie Fine Interiors, Inc., located in Boston, Massachusetts. Leslie is known for her personalized service and hands-on approach with her clients in creating functional and beautiful homes. View the video to get to know more about her. A seasoned interior designer can often make the difference between success and failure in large scale renovation and design projects. Aside from a our strong sense of design and style, we have the experience to anticipate what could go wrong. From a faulty lighting plan, to a kitchen with flow issues, to a bath that does not function well – we can envision many steps down the road, and suggest beautiful and elegant solutions that have fit, form and function. We can assist in your project planning, construction management and take hold of the myriad of design decisions that come at you rapidly during the design/build phase of any project.